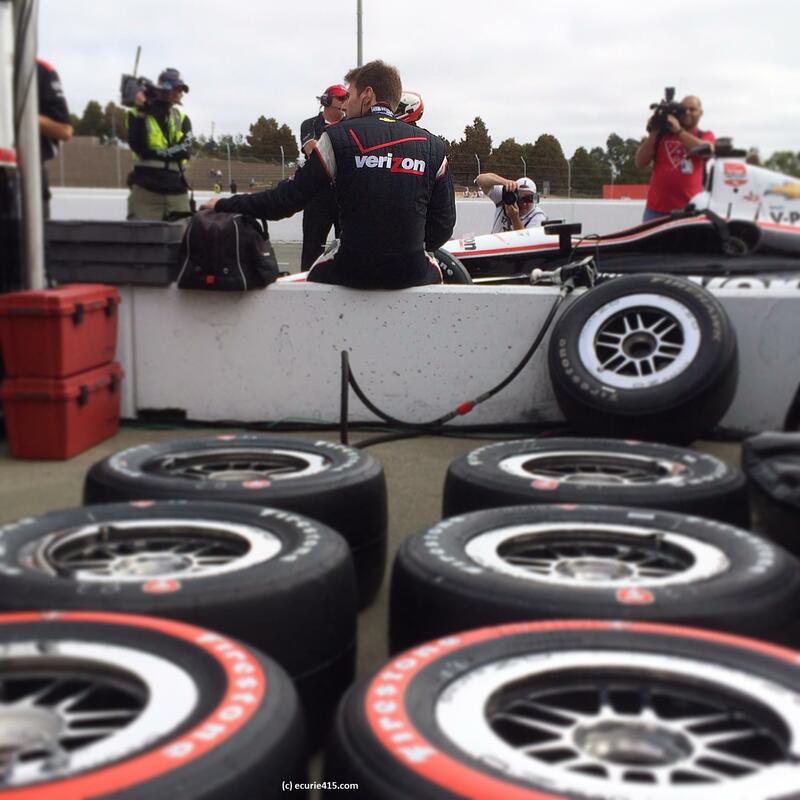 The IndyCar season closed last Saturday at Auto Club Speedway in Fontana. Although Tony Kanaan won the race, Will Power won his first IndyCar championship and proved his doubters wrong. Penske teammates Power and Helio Castroneves (below) were a two-horse race for the title, with Schmidt Peterson Motorsports driver Simon Pagenaud a distant third. Power had an up and down season, winning regularly but angering fans and fellow drivers with occasionally questionable driving tactics. Penske is a five-star operation, giving each of its drivers an opportunity win the title. 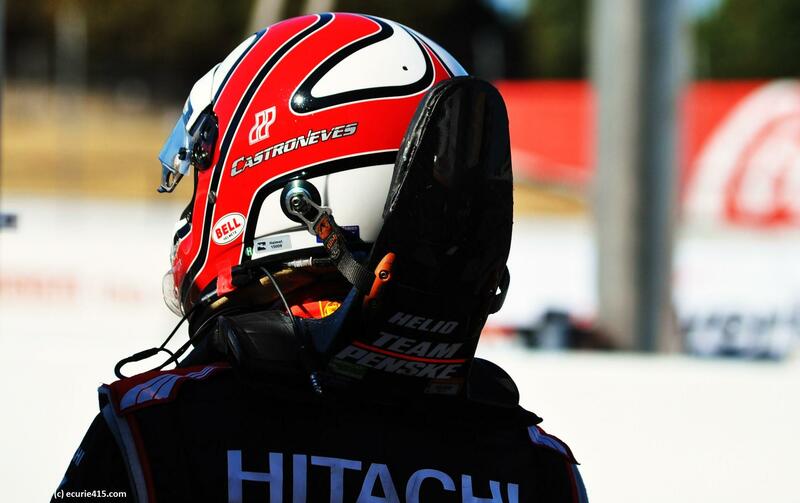 For the second year in a row, Castroneves was unable to seal the deal. 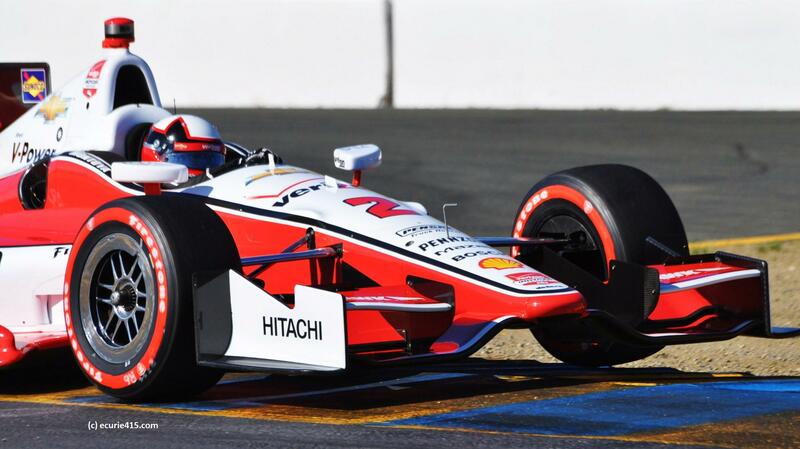 Juan Pablo Montoya returned to open wheel racing from NASCAR, and, while he didn’t contend for the championship, his speed was undiminished. 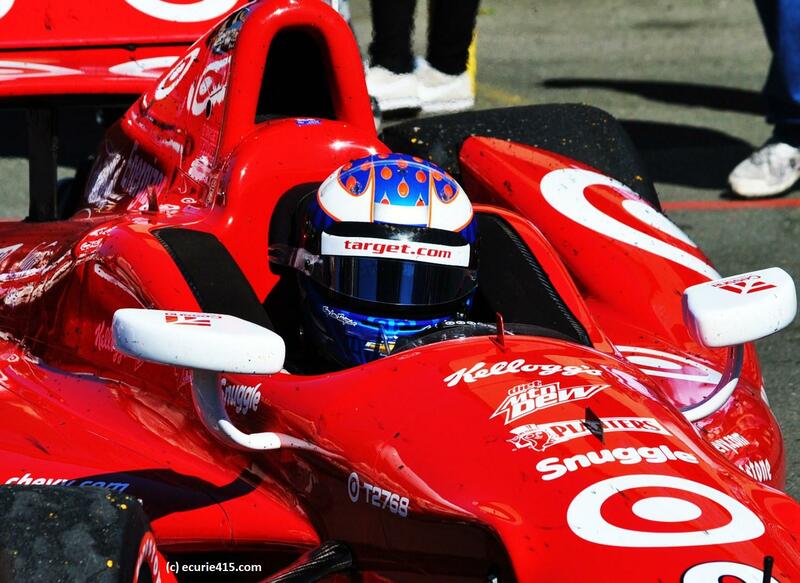 Target Chip Ganassi Racing had a slow start, something Scott Dixon acknowledged after he won at Sonoma. Dixon targeted Ganassi’s sports car projects as drawing focus away from IndyCar at the beginning of the season. One can only guess what the team might have achieved with more focus. Power (below) was the focus of attention all weekend at Sonoma and again at Fontana. Power qualified on pole at Sonoma but spun during the race and finished 10th. Power has never been a strong oval driver, but this year, he put together a consistent string of finishes to claim an IndyCar title. 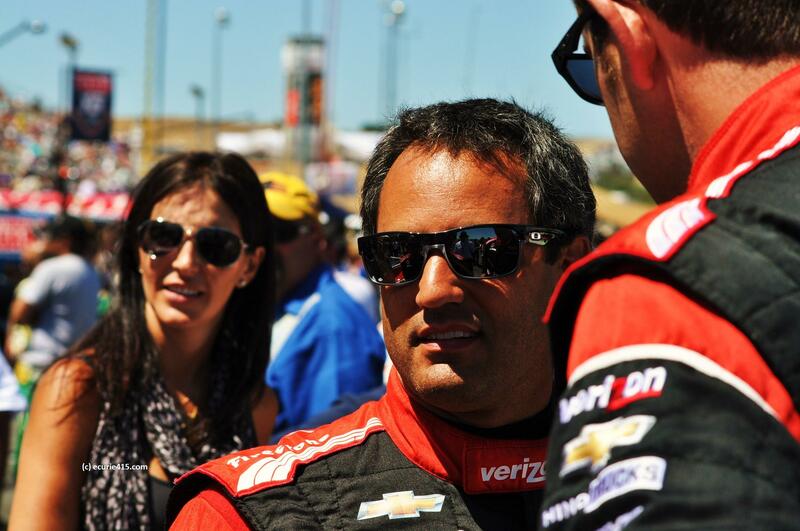 Much was expected of Juan Pablo Montoya (below, with wife Connie, on the grid at Sonoma). For the most part, the Colombian delivered on his promise, showing no loss of speed or intensity after time spent in F1 and NASCAR. 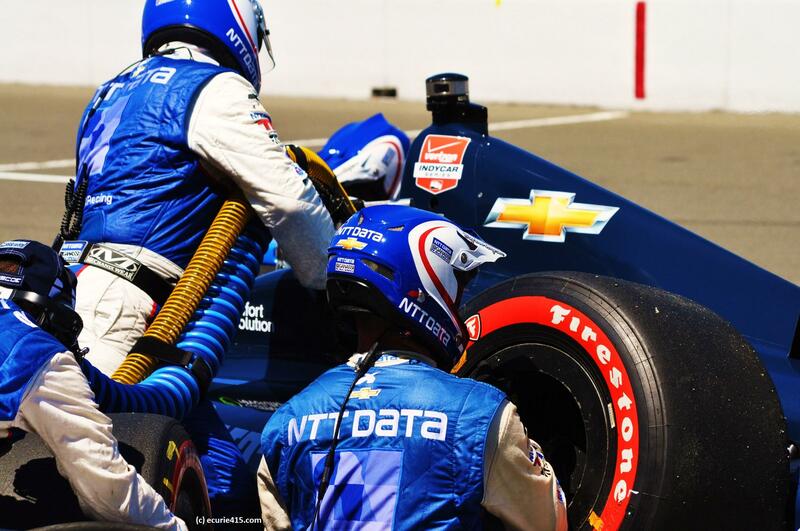 Pit stop action from Sebastian Saavedra. Along with Montoya, Saavedra and Carlos Huertas formed an IndyCar Colombian Crew. 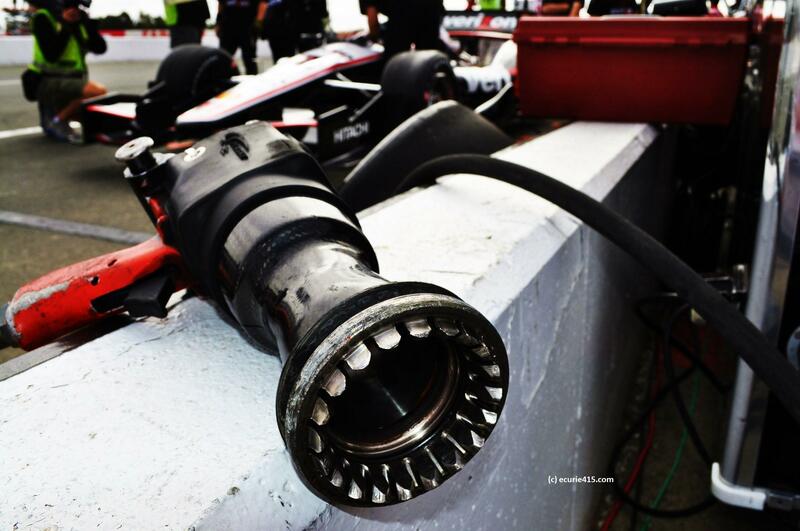 Paoli wheel gun, used for IndyCar only (costs about $4,500). Carlos Munoz was an impressive rookie of the year. Behind Munoz, Mikhail Aleshin and Jack Hawksworth all showed promise, but Munoz managed to finish fourth in his rookie Indy 500. For most of the year, Ryan Briscoe was outshone by teammates Kanaan and Dixon (and Charlie Kimball). 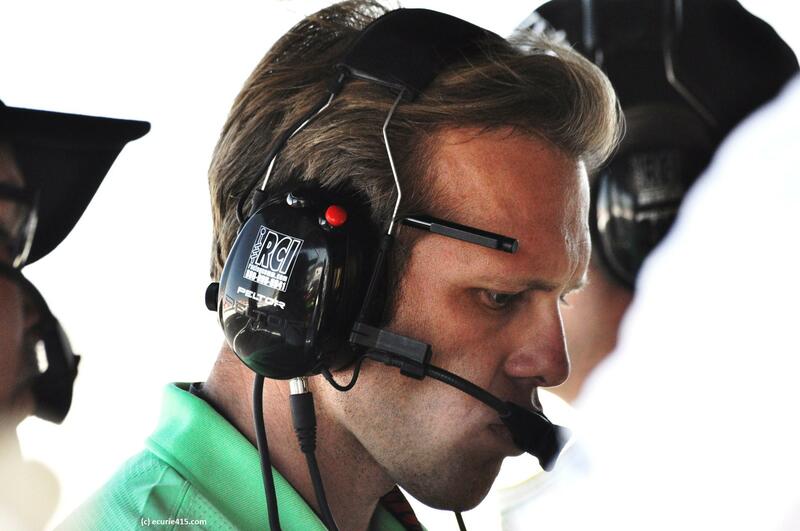 Ed Carpenter stepped down from his driving duties on road courses, allowing Mike Conway to take over. 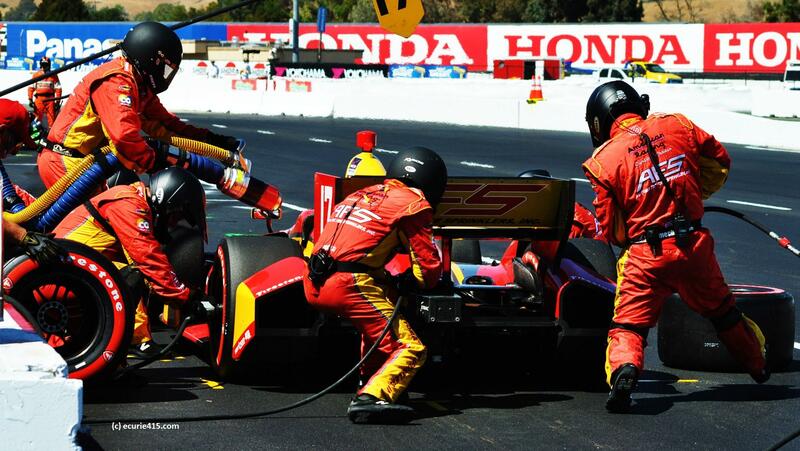 At Sonoma, Conway lead almost 40 laps late in the race, thanks to a savvy fuel strategy and good luck. Conway lost the lead on lap 83 and coasted to a halt just past the start/finish line. 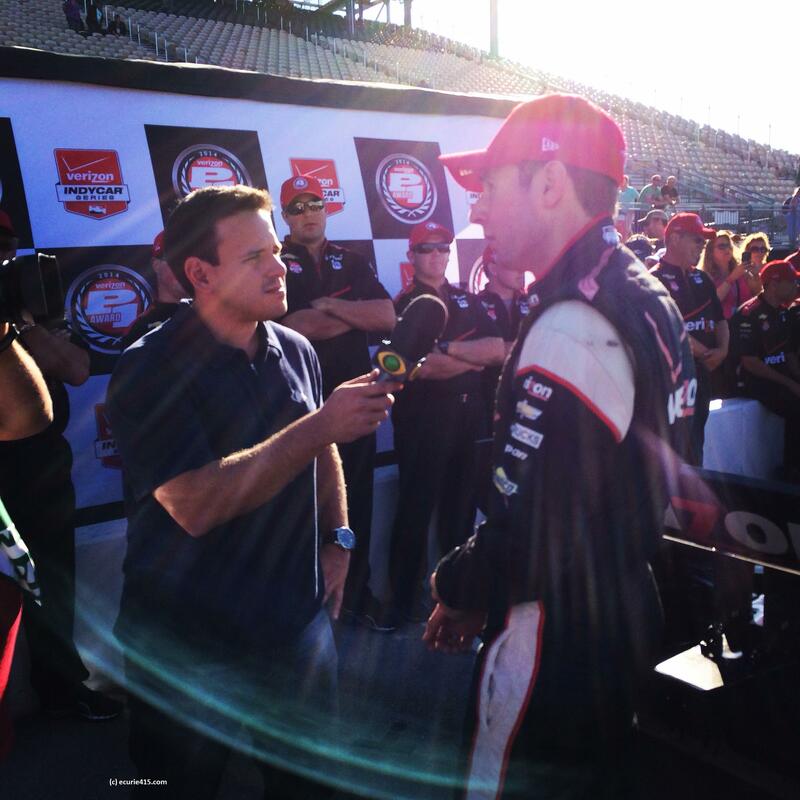 I spent those laps in Ed Carpenter’s pit, watching as the team bit its nails under pressure. 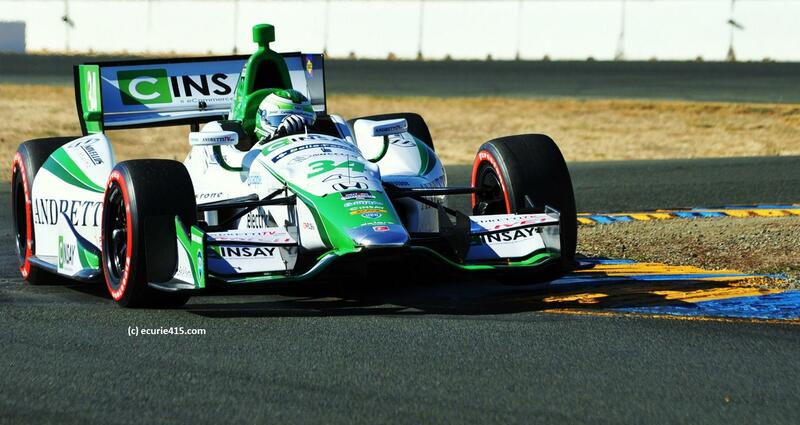 Dixon won at Sonoma, but couldn’t repeat as series champion. 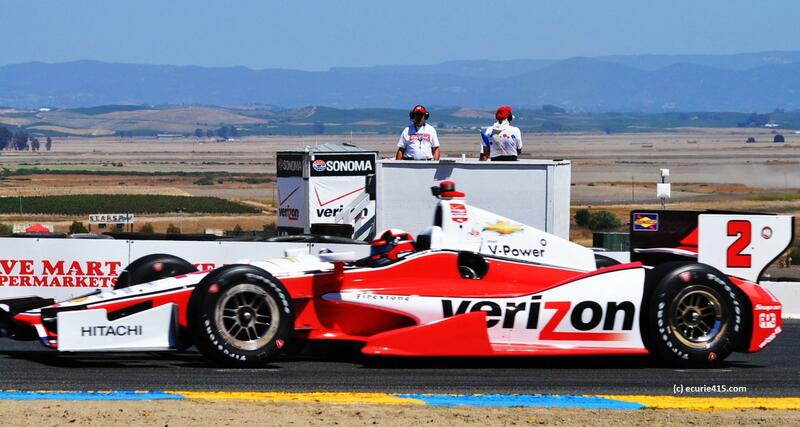 This entry was tagged Helio Castroneves, IndyCar, Juan Pablo Montoya, Sonoma, Will Power. Bookmark the permalink.